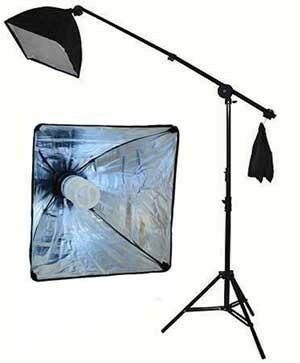 This light kit is a great compliment to any fluorescent continuous lighting you have. It is fully adjustable with a max fully extended height is 7 feet and 5/8" stud. The boom arm telescope to 56" max with a 15lb max weight limit.